In large nonstick pot, combine cream-style corn, corn, tomatoes and green chilies, tomato sauce, until heated. Bring to boil. Lower heat and cook 5 minutes. Add crawfish, stirring until heated. Terrific Tip: This recipe is only 6 ingredients! 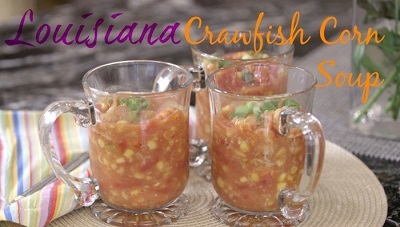 Just open cans of corn and tomatoes, toss in crawfish or shrimp for this simple yet superb soup.